With back to back conferences last week (Virginia Association of Museums/Middle Atlantic Archaeological Conference), I missed posting an animation last week. This post will feature three animations created from scans of three sherds from a Bartmann vessel that mend. These sherds were recovered from George Washington’s Ferry Farm in the summer of 2013. 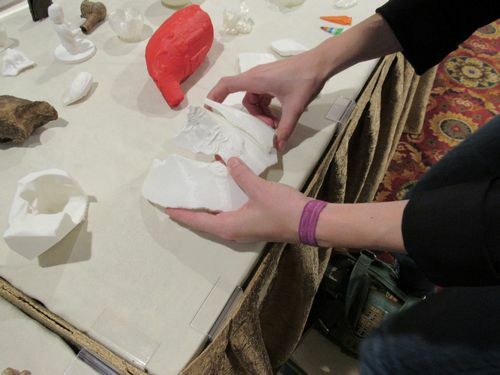 Printed plastic replicas of these sherds were used to illustrate ceramic mending at the 2015 Middle Atlantic Archaeological Conference. Mending at the Middle Atlantic Archaeological Conference. Today’s animation is a burned maize cob recovered archaeologically at the the Jordan’s Journey site, which is located in Prince George County, Virginia. 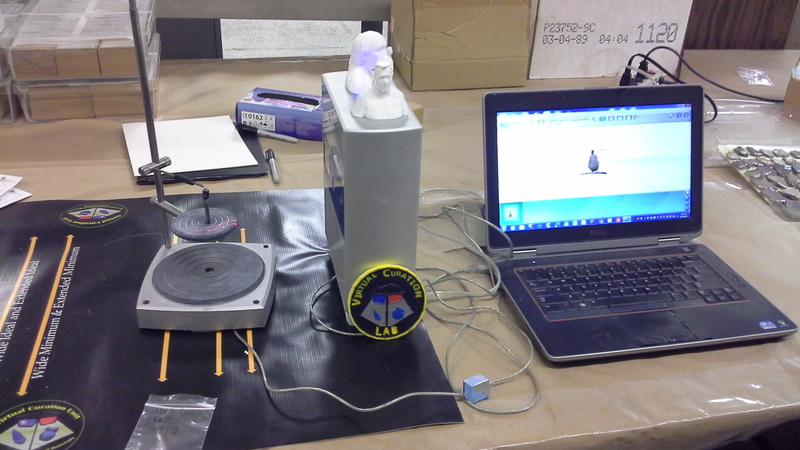 It was scanned at the Virginia Department of Historic Resources Conservation Laboratory, on behalf of VCL intern Lauren Hogg, who is incorporating a 3D printed replica into an exhibit she is creating on the Jordan’s Journey site. 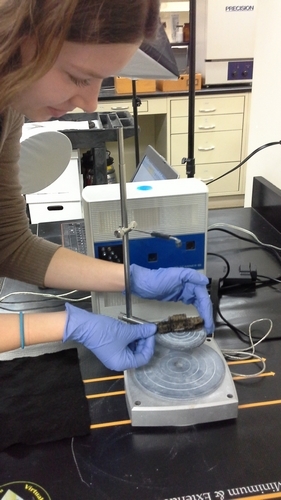 Lauren Hogg prepares the maize cob for scanning. Today’s animation is a cordmarked American Indian pottery vessel fragment scanned in the Virtual Curation Laboratory. This sherd was on loan from the Fort Lee Regional Archaeological Curation Facility (RACF).